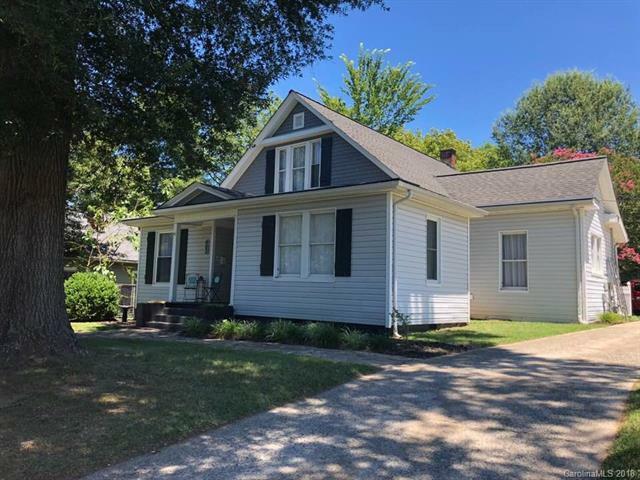 402 N Government Street, Lincolnton, NC 28092 (#3411974) :: Robert Greene Real Estate, Inc. This home may not be on the Historical Registry, but it has all the charm and beauty of any that are! This beautifully preserved home in downtown boasts all the old details you love, but has lots of modern conveniences too. Sits on a quiet street just 2 blocks from the court square and just around the corner from the soon to come downtown townhomes. Hard wood floors, beadboard ceilings (10 feet tall on main floor), 4 old coal fireplaces(nonfunctioning) but has beautiful mantles. Master bedroom and 2 more on the main. 3rd possible bedroom on main with murphy bed. Dining room has vintage built-in glass cabinets and a fireplace. Kitchen was completely replaced and 1 bedroom and large office upstairs along with walk-in attic storage. Large laundry room with outside access. Large back deck for relaxing or entertaining. Garage has new roof. This house has received a lot of love and is ready for a new owner.